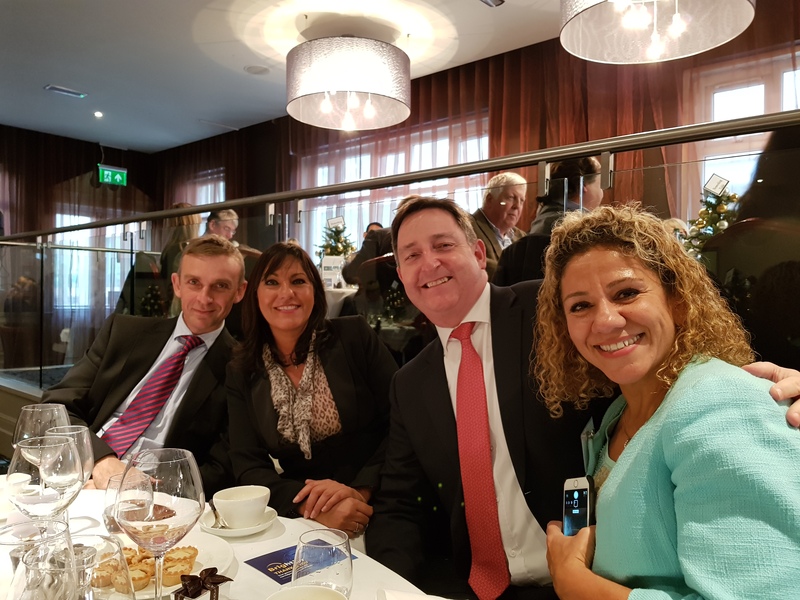 At the final lunch of 2018, Chief Minister John Le Fondre told IoD members and guests what the Government has done during 2018 and what they have planned for 2019. The lunch, which was sponsored by Kendrick Rose, raised over £1000 for two Jersey charities - the JSPCA and Brightly. 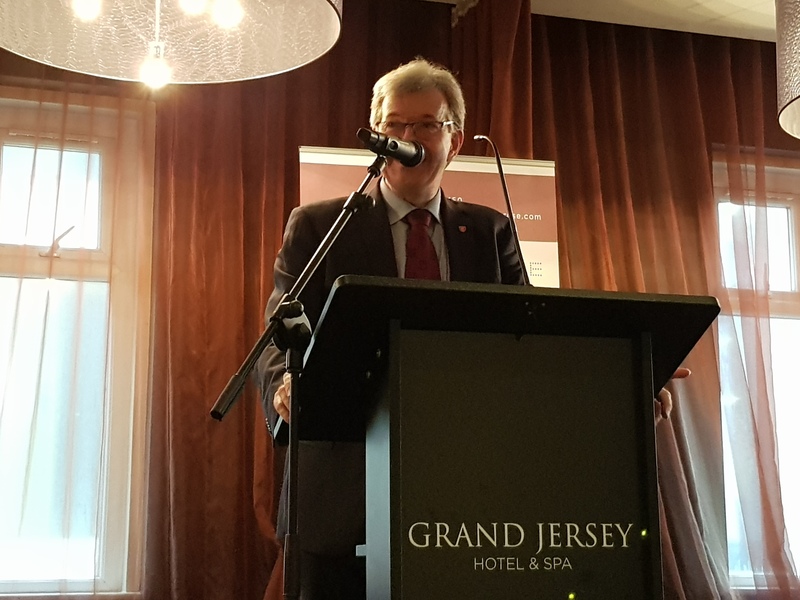 “2018 has been a year of great changes for Jersey”, Senator Le Fondre said. “And I’m confident that the Council of Ministers will achieve the changes required next year. 2018 represented a symbolic shift in Island leadership and management. “The appointment of a new Chief Executive, Charlie Parker, marked an important milestone in this journey in making the States more accountable and cost efficient. The Chief Minister presented a positive outlook for Jersey’s economy despite uncertainties over Brexit. “Jersey is an important part of the global economy. Figures from 2017 show Finance has grown for the 5th consecutive year, and there is a positive picture for 2018. 61,930 people in Jersey are employed – the highest figure ever. And a growth rate of 1.5% could be possible. “However, we cannot afford to be complacent. The uncertainty surrounding Brexit creates risk for the Finance Industry, including the risk of punitive measures by the EU towards lower tax jurisdictions. During recent meetings with UK MPs Margaret Hodge and Andrew Mitchell, the Chief Minister has set out the Island’s position. Is Mr Le Fondre worried about Brexit? “The Jersey government developed a plan in 2016 on the basis of a no-deal or a hard-Brexit. This has proven a prudent approach. Our objective has been to preserve the status quo of our relationship with the UK and the EU and we have a landmark customs agreement with the UK for the Island to manage after Brexit. Senator Le Fondre touched on the pay dispute with States employees, placing it within the framework of business change. “The opinions of long-serving members of staff should be taken into account but there will be differences due to the complexities of change. The States of Jersey has no common operating system. We have 3,200 job descriptions for a workforce of 7,000. We use more than 100 spreadsheets to close annual accounts, and out accounting system scored 2.3 out of five – the bottom end of the scale. Looking forward to 2019, the outlook for Jersey is to be even more global.